Hot dipped galvanised steel, black finish. 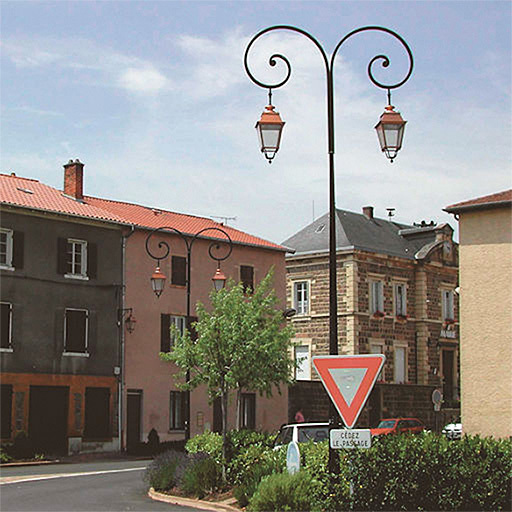 Brackets : suitable with any column ø60 mm and ø54 mm inside, like Touraine or Ile de France. To compensate a possible default in the horizontality or verticality, we recommend to use an adaptator (code 96002665)between the lantern and the bracket. Consoles : Wall mounting brackets for EP145 use 3/4 inch BSP suspension, for Decostyle use 1 inch BSP suspension.